Just some of the few adults involved in the college admissions scandal. Spring is just around the corner and this puts a lot of pressure on high school seniors who are currently making final decisions on where they will be attending school in the fall. The idea of cheating in order to reach certain successes is old news, but what about cheating your way into being admitted into any college of your choice? News surfaced almost two weeks ago that 33 parents, some who are more well known like actors Lori Loughlin and Felicity Huffman, bribed college admissions offices in order to get their kids into the college of their dreams. According to a news outlet called Page Six, Loughlin and her husband paid $500,000 to William Singer, the mastermind behind many of these kids cheating the college admissions system. Singer convinced University of Southern California (USC) that both of Loughlin’s daughters were athletes and were there on a scholarship for the rowing team. Along with USC, some other schools that are involved in the scandal are Stanford, Georgetown, and new updates even suggest Yale. In an article just recently published on CNN News, Yale recently just took back the admission of a female who was attending the prestigious school on a full scholarship for women’s soccer. They were the first university to do this out of all of the colleges involved in the scandal. The students parents apparently bribed the soccer coach with a whopping 1.2 million dollars just to get the girl admitted into the school. According to CNN news, many of the kids who were involved in this scandal sadly did not know that they did not earn the admission into their school and have just found out that their parents bribed them in. Loughlin and Huffman are just two of many other parents who have been indicted, along with ringleader William Singer, for racketeering and money laundering. With new developments surrounding the case being brought to light each day, seniors from Adams High School who will be attending college in the fall were asked their opinions on this topic. 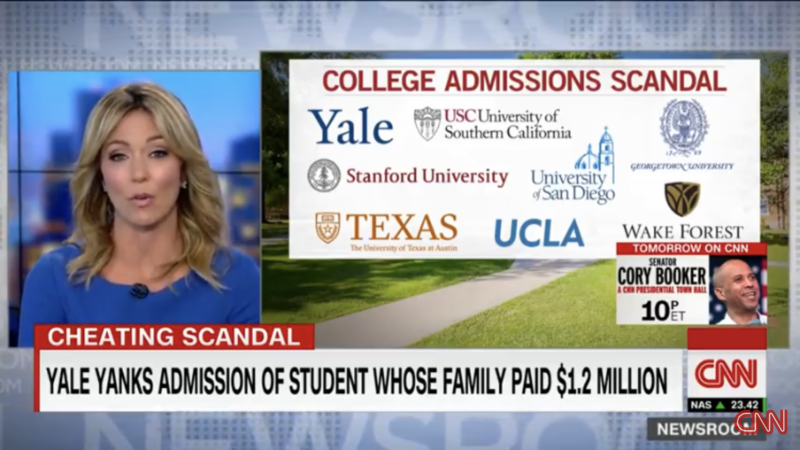 Live broadcast regarding the college admissions scandal, listing just some of the colleges that are involved. “I was shocked when I found out [about the scandal], I didn’t realize this sort of thing still happened because of how competitive it is to get into college. 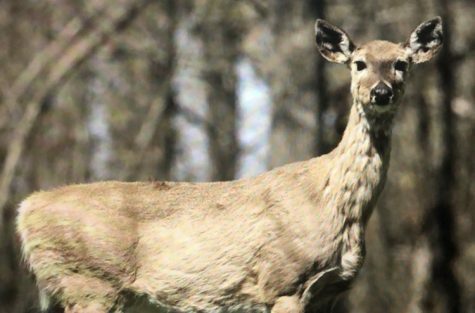 They definitely need to be punished in some way; what they did was morally and legally wrong, not to mention how unjust it is,” said senior Caitlin Martens. 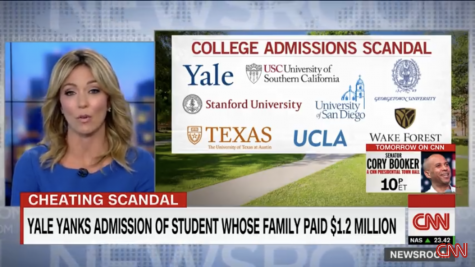 In an article by Marie Claire entitled, “What Is The College Admissions Scandal?”, Claire discusses the unfairness of this situation. Some students who have the grades will not be able to attend these elite colleges because of their socioeconomic backgrounds. Meanwhile, the wealthy will just pay their way in. The wealthy are cheating the system to do whatever it takes to get their kids into their dream school, and are snatching away the opportunity from students who are far more deserving due to the effort and time they have put in. “After working so hard for the past four years, it’s frustrating to see kids get into better colleges without putting in any effort on their own. That being said, it makes me prouder of myself that I was able to work hard and get an acceptance letter for myself,” added senior Caitlin Martens. The news of this scandal has been upsetting to many parents and students all over the country. The truth that sometimes the admissions into college is not fair is an eye opener to how the system works behind closed doors. The speculation that more of the upper class has done this more often than not has been rising, and many hope these families who cheated will be brought to justice. Lori Loughlin and other parents who were involved will be going to court for the case starting March twenty-ninth.